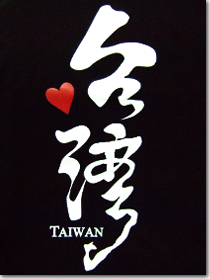 "Taiwan is not a province of China. The PRC flag has never flown over Taiwan." Stick that in your clipboards and paste it, you so-called "lazy journalists"! Thanks to all those who voted for Taiwan Matters! in the Taiwanderful Best Taiwan Blog Awards 2010! You've got great taste in blogs! What am I thinking about on this 64th anniversary of one of the most horrific events in Taiwan's history? * Vote buying is rampant even within their own party's Central Standing Committee, but they keep putting the guilty ones right back in. 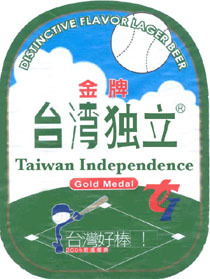 * In the January 2010 legislative by-elections, "Two of the three seats up for grabs […] in Taoyuan, Taichung and Taitung counties were left vacant by former KMT legislators found guilty of vote-buying," reminding us of their "tradition of buying votes." * Lee Min-yung (李敏勇) reminds readers: "The roots of vote-buying can be found in the Chinese Nationalist Party's (KMT) long hold on power and its system for distributing the spoils of government." * Laurence Eyton enlightens in a 2004 piece in the Asia Times Online: "[The Chinese KMT] has traditionally used its wealth to engage in what it calls 'traditional electoral practices', ie vote buying […]"
* When disgraced former Toronto-based Government Information Office (GIO) official Kuo Kuan-ying (郭冠英) returned to Taiwan, he was picked up at airport and "assisted" by thugs in black shirts assigned by Bamboo Union (竹聯幫) gang leader Chang An-le (張安樂). * People wearing black T-shirts and vests bearing the name of the Matsu Temple (大天后宮) physically remove college students from a protest against the Ma Ying-jeou (馬英九) government's policies regarding students from China. * Despite denials by police, experience should tell you who the guys in the black shirts helping to defend Chinese envoy Chen Yunlin (陳雲林) are. * Read my post about the movie "Formosa Betrayed," which dramatizes real incidents involving the Chinese KMT, including their use of gangsters to carry out the assassination of a political dissident on American soil. * A Taipei Times editorial reminds readers about Ma's empty promises: "So much for saying that the memorial hall [renaming] issue was 'not a pressing matter.'" * Here's a photo of a display from the renovated 228 Memorial Museum which paints former dictator Chiang Kai-shek (蔣介石) as "recovering … order" instead of as being the perpetrator of the massacre. * Exhibits at the newly-renovated museum paint peaceful protesters as "mobs." * President Ma pretends that the Chinese KMT has "dealt with its past" to the same extent the government of Germany has done since World War II. * On the blog of Taipei City councilor Chien Yu-yen (簡余晏) you can read some of the details (Hanzi) and see photos (containing Hanzi text and a little bit of English) and video (Taiwanese and Mandarin audio, Hanzi text and a little bit of English) detailing some of the changes to the museum. * Remember the days when Ma was publicly against direct presidential elections. * Remember when the Chinese KMT boycotted their own referendum about Taiwan's participation in the United Nations. * The Executive Yuan's (行政院) Referendum Review Committee (公投審議委員會) turned down proposed referendums on the Economic Cooperation Framework Agreement (ECFA) with China three times, despite (or perhaps because of) the fact that it had more than enough signatures and support in polls! * In mid-2009, the Ma government reverted the Taiwan Democracy Memorial Hall (臺灣民主紀念館) to its former name: the Chiang Kai-shek Memorial Hall (蔣中正紀念堂). * Ma wants people to stop calling China "China" and to call it "the mainland" or "the other side." * A short time later, Beijing "praises" Ma for this. * The Philippine government deports 14 Taiwanese suspects to China, basing the decision on a "one China" policy, yet Ma places zero blame on China. People of Taiwan, when are you going to stop this from ever happening again? If you have additional relevant examples to include in the topics above, please submit them in the comments below (use the HTML above the comment submission box for links) or via e-mail. * Monday, February 21, 2011 on Strait Talk: It's Taiwan, not China... Tales from Formosa, The Beautiful Island: "Formosa Displayed, Formosa Betrayed: Taiwan's 228 Museum Rewriting History?" Cross-posted at It's Not Democracy, It's A Conspiracy! Got tips, corrections, complaints, or anything else you don't want to submit in public comments? Write to us. Yo, Mike Wang! NO MORE LIES! Mr. Chuang wants green media to stop saying "mainland"
Cop-hitter Hung Hsiu-chu says "violence is in the DPP's DNA"
Is the Chinese Nationalist Party (KMT) better than the DPP? Can you trust Ma Ying-jeou's abilities? Kaohsiung - 915 UN for Taiwan - Chen Shui-bian, unpopular? China Times and the KMT, get out of Taiwan!